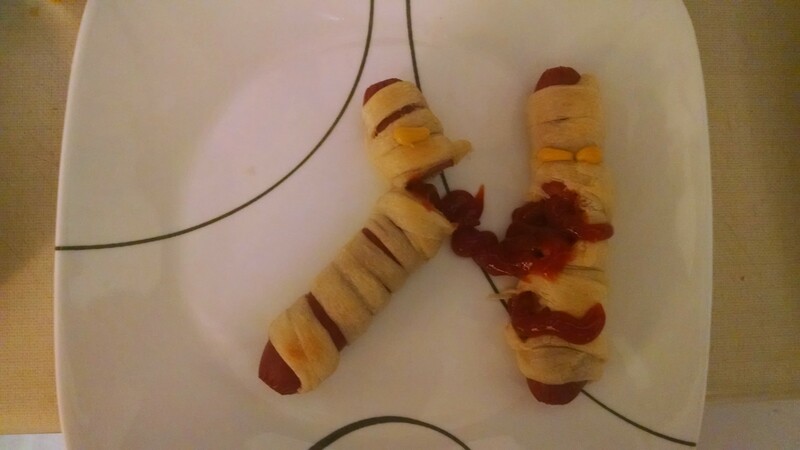 I’m usually not one for making those little novelty holiday food items, but for some reason I had a lot of fun with the mummy dogs we made last year. So for once it was not Jessica but I who suggested making them again. 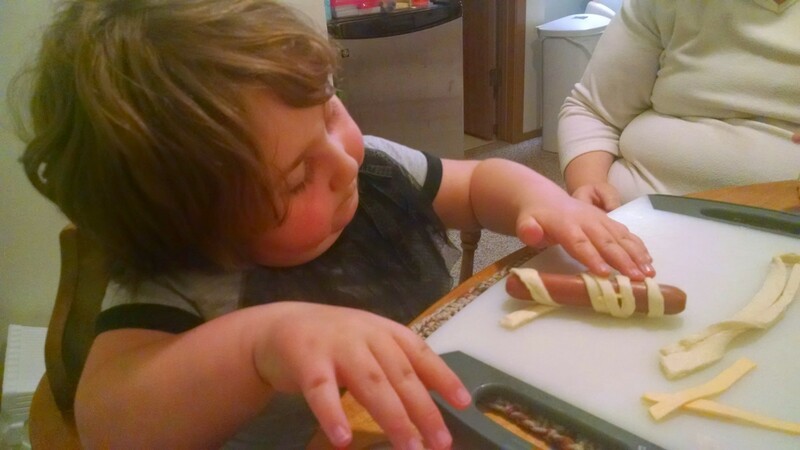 We had bought some crescent roll tubes, so Jessica cut them up into strips. 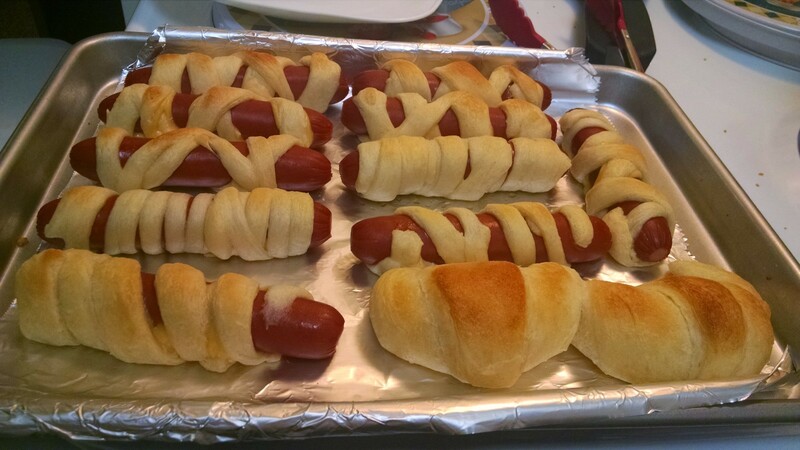 She and Namine rolled up several mummy dogs, until Namine decided that she wanted to do some by herself. 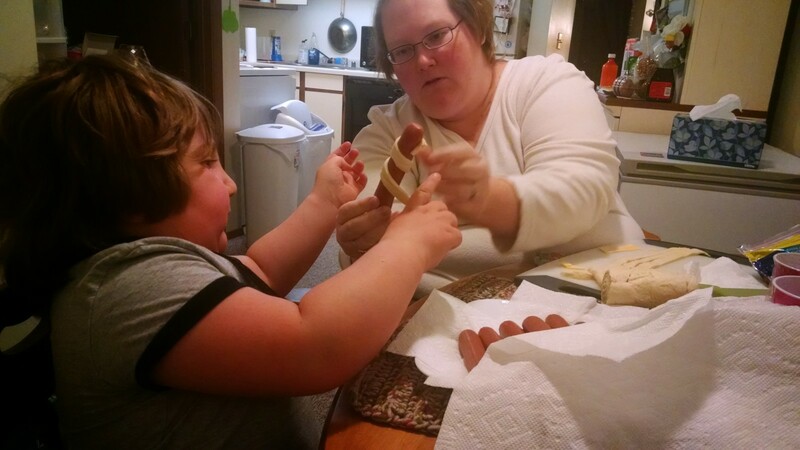 So we gave Namine some hot dogs and some dough strips, and she fared pretty well on her own. Well, you can see for yourself. I think they turned out nicely. We certainly had fun making them. 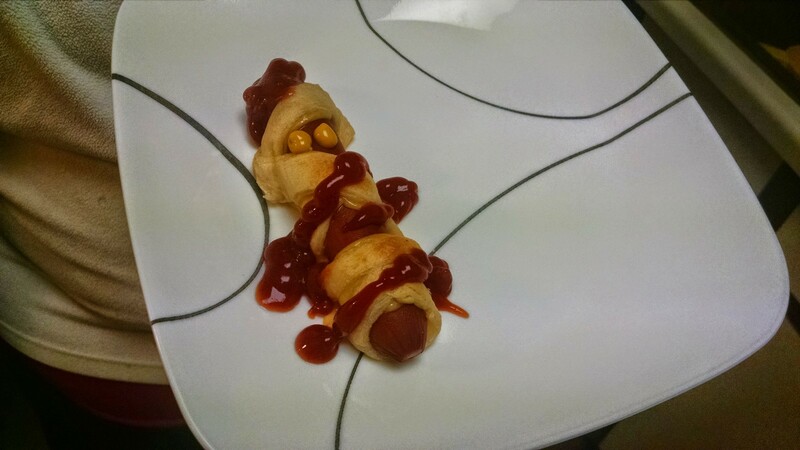 Namine's mummy dog was bleeding ketchup quite profusely. I suspect one of my mummy dogs was, in fact, a zombie.